Kestrel Land Trust has completed a negotiation with Eversource Energy who sold 31-acres of grassland at the corner of South Maple Street and Moody Bridge Road, in Hadley, MA to be protected in perpetuity for its conservation value as public land in the Fort River Division of the Silvio O. Conte National Fish and Wildlife Refuge. 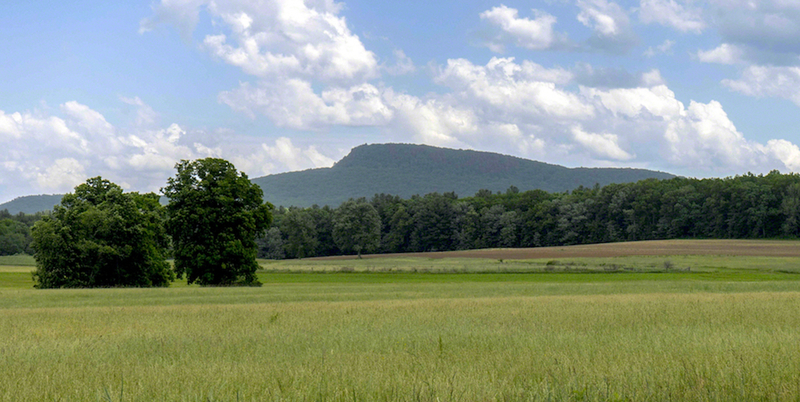 The parcel includes wetland and fields, abuts protected land, and is a keystone parcel within the 2,000-acre mosaic of farmlands, grasslands, floodplain forest, and wetlands that stretch from the base of the Mount Holyoke Range to the Fort River in Hadley. This river is located in the eastern portion of the Pioneer Valley, drains a 35,830-acre watershed, and is the longest free-flowing tributary to the Connecticut River in Massachusetts. Not only is the parcel at the heart of a scenic landscape that defines our Valley, but this land is also essential to drinking water protection, wildlife diversity, and recreational opportunities. The parcel will be added to the Fort River Division of the Silvio O. Conte National Fish and Wildlife Refuge with $680,000 coming from the Land and Water Conservation Fund. 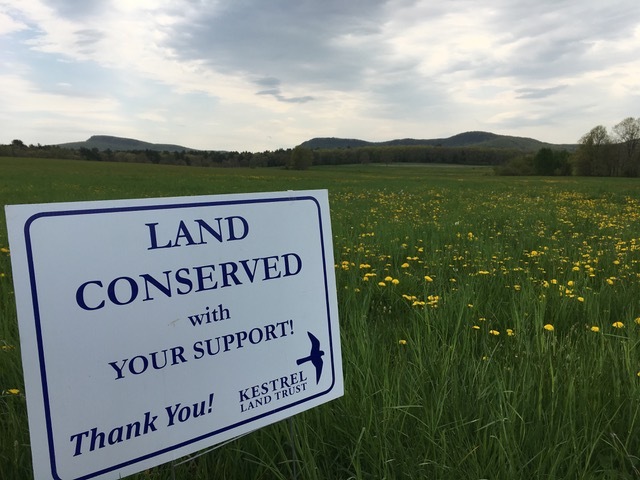 “The protection of this property for wildlife and people would not have been possible without the assistance of Kestrel Land Trust,” said Andrew French, project leader at Silvio O. Conte National Fish and Wildlife Refuge. Since 2008, Kestrel has worked with public and private partners, including the U.S. Fish & Wildlife Service, Massachusetts Department of Agricultural Resources, Town of Hadley, Valley Land Fund (now merged with Kestrel), The Trust for Public Land, Franklin Land Trust, and The Conservation Fund, to acquire several other parcels along Moody Bridge Road for the Refuge or for agricultural protection. The land acquisitions for the Conte Refuge made possible the construction of the popular one-mile long, universally accessible nature trail. The Fort River Birding and Nature Trail is located at 69 Moody Bridge Road, Hadley, MA. The trail is open to the public from sun-up to sun down, year round. Even though the land is located in agricultural area of Hadley, the wet soils of this parcel were not eligible for the Massachusetts Agricultural Preservation Restriction Program, which is often used to protect active farms in the area. The additional parcel will be managed to provide grassland bird nesting habitat, and will be open to the public. Kestrel is grateful for the support of our community and donors who helped make sure this iconic piece of land wasn’t lost forever. 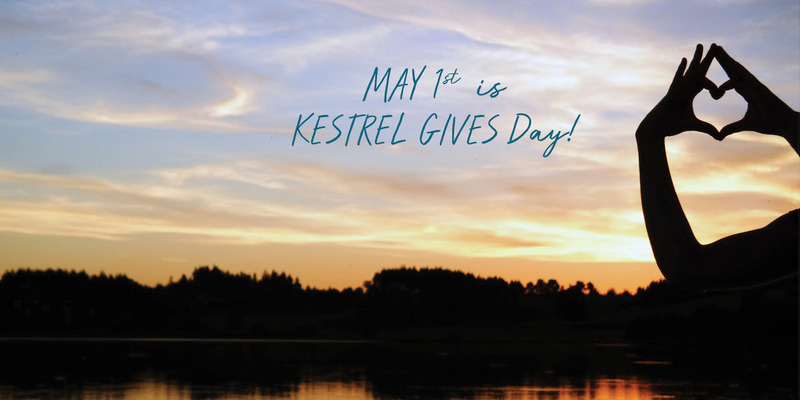 May 1, 2019 is Kestrel Gives Day!